Scotland is about to publish a bill to outlaw corporal punishment. Here we highlight the involvement of the Royal College of Paediatrics and Child Health, and the part played by paediatricians, notably ISSOP member Lucy Reynolds, Glasgow, Scotland. As well as emailing this link to my own MSPs (thanks to proportional representation, I have 8), I was invited to speak at events organised by the 3 charities and the Commissioner’s team in the Scottish Parliament and at party conferences – sometimes as part of an expert panel also including the main author of the research review, and a senator from Ireland who had been instrumental in achieving their legislation. Framing our message was important – rather than ‘banning smacking’ we emphasized giving children Equal Protection by removing the current defence of ‘justifiable assault’ for a parent or caregiver hitting a child: a relatively ‘easy win’ for politicians wanting to improve child wellbeing, given that no one benefits from continuing to allow children to be hit. An MSP agreed to propose a bill. When the formal consultation on the draft bill was launched, our team worked to ensure relevant organisations were aware of the consultation and of the evidence. 78 of the 84 organisations responding to the consultation were fully supportive of the proposal. The Scottish Government then committed to ensuring the bill would become law. Some of the arguments and analogies I have used are included in this 5 minute film. The Children (Equal Protection from Assault) (Scotland) bill was introduced in our parliament on the 6th of September. Once again I (and a network of like-minded colleagues) am about to email all my MSPs, urging them to give it their full support. For those of you with a particular interest in the topic, I recommend reading the Policy Memorandum. The Royal College of Paediatrics and Child Health has been referenced by the Daily Mail (Scotland) as supporters of a potential ban in Scotland which will remove the right of parents to use physical punishment when admonishing their children. Adopting a ban would make Scotland the first part of the UK to outlaw the physical punishment of children, with parents in England, Wales and Northern Ireland currently allowed to use “reasonable chastisement”. The Daily Record and the Scotsman also reported on the ban. Professor Steve Turner, Officer for Scotland at the RCPCH, has also been referenced on BBC News regarding the ban, stating that there is “nothing I want more than for children to be protected, as adults currently are, from assault.” You can read his full response on our website. 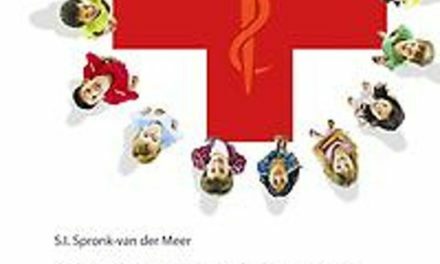 These examples show how important is the advocacy by paediatricians, paediatric organisations and the voluntary sector in ending corporal punishment of children. Please report on your own country progress! 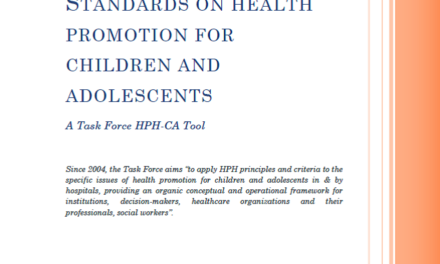 e-bulletin 36 – 7.2 Task Force HPH-CA Standards for Health Promotion for Children and Adolescents.